Christmas Party Acts: Mistletoe, Angels, Santas! Home > Blog > Articles > Christmas Party Acts: Mistletoe, Angels, Santas! It might only be the middle of September, but when it comes to arranging your Christmas Party, there is no time like the present. In fact, as anyone in the events and party planning business knows, the Christmas bookings will have been flying in thick and fast up and down the country for a few weeks now. If you don’t get your skates on, you’ll soon find that your first choice venue is already booked up for those prime nights: Thursday, Friday, and Saturday. Of course, when it comes to Christmas parties, any night of the week will do. If we’re honest, the standard Christmas Party can be pretty average fayre – an overpriced traditional sit-down Christmas dinner or a finger buffet. From venue to venue all across the country, many festive parties will be somewhat interchangeable. What will set them apart, very often, is the company you keep… and the entertainment you book! For a touch of class this Christmas, take a look at Musical Mittens & Mistletoe. This merry bunch are sure to add some festive sparkle to any event. They will perform unique arrangements of all your favourite Christmas carols. A drunken end-of-night ‘Merry Xmas Everybody’ singalong this is not. Classically trained, Musical Mittens & Mistletoe blend musical theatre with jazz, pop and a healthy dose of opera – either acapella or with a piano. 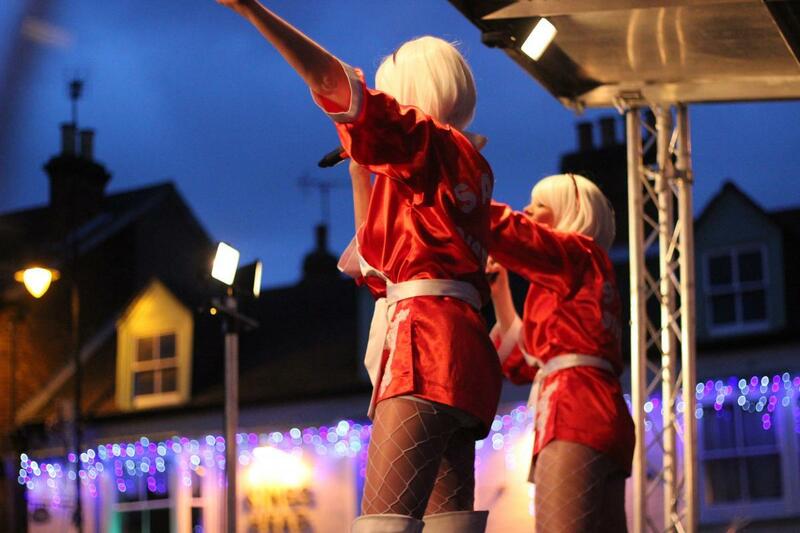 Delivering a high-octane fun-packed show, Santa’s Angels will perform a set with the perfect mix of party faves and Christmas classics – guaranteed to get the whole office up on their feet! Santa’s Angels are as at home performing at a winter wedding as they are in a hotel or bar. With festive costumes, dance routines and the right dose of audience interactivity, this lot will get the party started… and keep it going! Ho Ho Ho! Last but not least, our very own Silk Street Santas. Ideal for your Christmas party, works ‘do’ or festive-themed event, the Santa Claus jazz band will have everybody jingling all the way and the full of festive cheer. All your favourite Christmas tunes performed in an upbeat New Orleans style, from Rockin’ Around the Christmas Tree to Silent Night, the Silk Street Santas are ideal for Christmas Lights Switch Ons and surprise office parties as well as. They can even come with dancing elves! As we said, a Christmas Party doesn’t have to have a Christmas theme. You can browse the full range of Silk Street acts of all genres here.